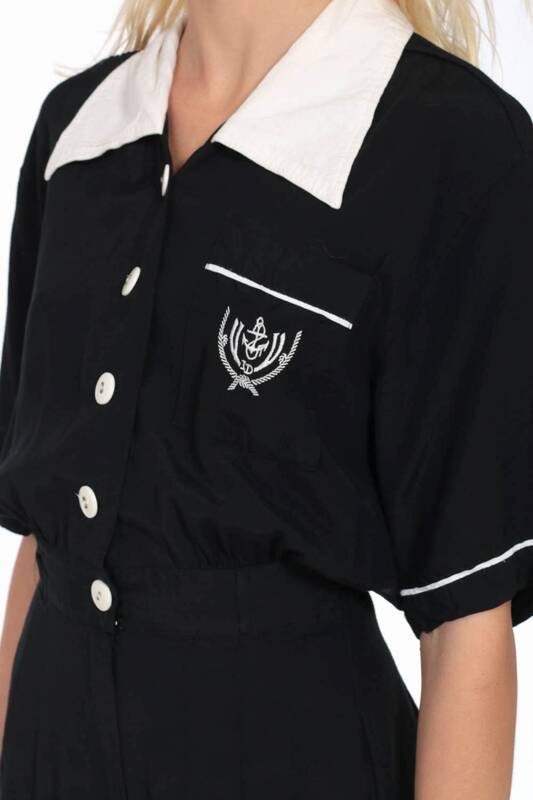 Vintage 80s jumpsuit in black rayon with cropped palazzo legs and an embroidered anchor on the chest. Best fits women’s: Labelled size 7. Fits Extra small.